When launching the Malaysia-Xiamen Chamber of Commerce recently, Tourism and Culture Minister Nazri Aziz said Malaysia was eyeing four million tourists from China, and up to eight million by 2020. In 2012, the number of China visitors to Malaysia was only 1,558,785, and increased by 14.9% to 1,791,423 the following year. But it dropped to 1,613,355 in 2014 due to the disappearance of flight MH370 and subsequent missteps. Last year, arrivals shot up by 26.7% to 2,124,942 from 1,677.163 in 2015. Could the number of China visitors increase by 88% to reach four million this year? It appears unlikely, going by the performance of the first quarter as the number was 551,378, an increase of only 7.5%. At this rate, the total number for the year would only be 2,205,512. It would be quite a feat just to draw three million China visitors, as it would mean a hefty 41% jump. However, targeting eight million China visitors by 2020 is within reach as larger numbers are visiting our northern neighbour. Last year, 8,757,466 China tourists visited Thailand, and between January and March this year 2,439,076. It is interesting to note that Malaysians visitors to Thailand accounted for 3,533,826 arrivals last year, and 813,865 in the first quarter of this year. These figures are higher than China visitors to Malaysia. Traditionally, Singaporeans account for half of all visitors to Malaysia. Out of the total 26,757,392 last year, the number from Singapore was 13,272,961, much more than its 5.7 million population. This is because the same Singaporeans are counted as visitors each time they enter Malaysia to stay overnight, regardless of whether they are staying in their own homes or hotels. 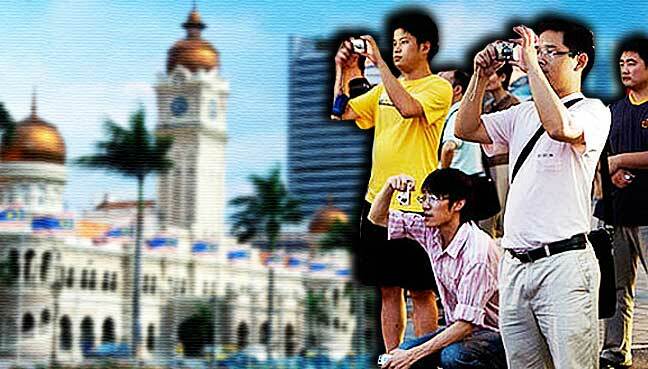 The only country that could soon surpass the number of Singaporean visitors to Malaysia would be China. According to figures released by the United Nations World Tourism Organisation, there were 135 million China outbound tourists last year. By 2020, their numbers are projected to reach 234 million and spending US$422 billion. Many destinations around the globe have pulled out all the stops to attract China visitors, and eight countries are receiving more China tourists than Malaysia. In 2010, China surpassed Japan to become the world’s second largest economy, and the biggest source of outbound tourists. Last year, they splurged US$261 billion and were the biggest spenders, with the United States trailing a distant second, at US$122 billion. Malaysia’s success, or failure, to draw more China visitors would depend on four key factors. The first is visas. 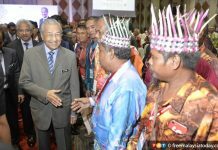 Apart from all European Union countries, 37 other nations are granted visa-free entry to Malaysia for 90 days, 93 countries for 30 days, and four nations for 14 days. China is not one of them. For countries such as China and India with huge populations spread over vast territories, it was a big hassle to apply for physical visas by submitting passports. Naturally, many China tourists were put off by the inconvenience. On March 1 last year, the electronic visa (e-visa) and electronic travel registration and information (ENTRI), were officially launched in Beijing, officiated by Nazri. Malaysian visa processing centres were also set up in Shanghai, Beijing, Guangzhou and Kunming, with Xiamen recently added to the list. Efficient processing of e-visa and ENTRI are crucial in facilitating large numbers of China tourists to enter Malaysia. The second factor that determines the effectiveness of attracting China visitors is e-communication and e-payments. 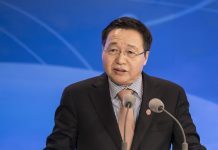 More people today are connected by smartphones and laptops, than watching television and commercials, and China is no exception. On November 4 last year, Prime Minister Najib Razak was in Beijing for the launch of the Alitrip Malaysia Tourism Pavilion by e-commerce giant Alibaba. In China, it is common for consumers to pay for almost everything, including street food, using Alipay, an e-payment app on mobile phones. On May 12, 7-Eleven convenience stores in Malaysia began accepting Alipay, and local retailers displaying Alipay logos would get more customers. Cities and towns that wish to draw more visitors should develop their own mobile apps to provide interesting and useful information on local attractions, foods and fruits. These apps allow visitors to make bookings and navigate on their own without using maps. Information in apps is accessible globally 24/7, and experiences shared with a few clicks of the button. They are much more effective than traditional advertising and promotions, or word of mouth. Printed brochures are rendered obsolete and a sheer waste of money. The third factor is ethnic Chinese bashing, which may happen in the run-up to the next General Election. Last year, 77% of all visitors to Malaysia came from Singapore, Indonesia, China, Thailand and Taiwan, all with sizeable ethnic Chinese populations. With people connected by social media today, a small incident can easily spiral out of control. A good example was on April 9 when Dr David Dao was forcibly removed from his seat and dragged off a United Airlines flight. Chinese social media exploded with outrage after a video went viral showing the passenger, who is Chinese-Vietnamese, being manhandled. The carrier accounts for 20% of all flights between the US and China, and a boycott would be catastrophic. How well can Malaysia handle disasters? The fourth factor is Malaysia’s capability of handling disasters, which can be measured by contingency plans in place. Few public or private sector organisations have set up committees to discuss, study and formalise standard operating procedures to deal with disasters. Without contingency plans, it will be left to whoever is holding fort for the day. Making crucial decisions based on limited information and judgement are likely to cause further damage to a disastrous situation, which must be swiftly contained. The MH370 incident laid bare our lack of preparedness in handling disasters. Instead of allowing VIPs to bask in the limelight, we should have taken a leaf from the United States where statements are prepared professionally and read out by a presidential spokesman. A bungling president, such as what we have witnessed in recent months, only creates more distrusts, not credibility. It is imperative that the media be fed regularly with correct and timely information, not speculation. While safety officers can easily be hired, disaster management can only be determined at the highest level, as it involves crucial organisation policies and business decisions. Without a contingency plan, private organisations could easily be wiped out by a major disaster. On the other hand, all things that can possibly go wrong could be identified while working on such a plan. The hazards could then be eliminated, reduced or isolated to prevent or reduce risks and severity. Hiring experts as consultants or attending disaster management courses would help tremendously. An organisation is prepared only when all staff are aware and trained to play their roles in emergencies. As long as contingency plans are lacking in public and private sector organisations, our tourism industry will remain in its infancy. YS Chan is an FMT reader.